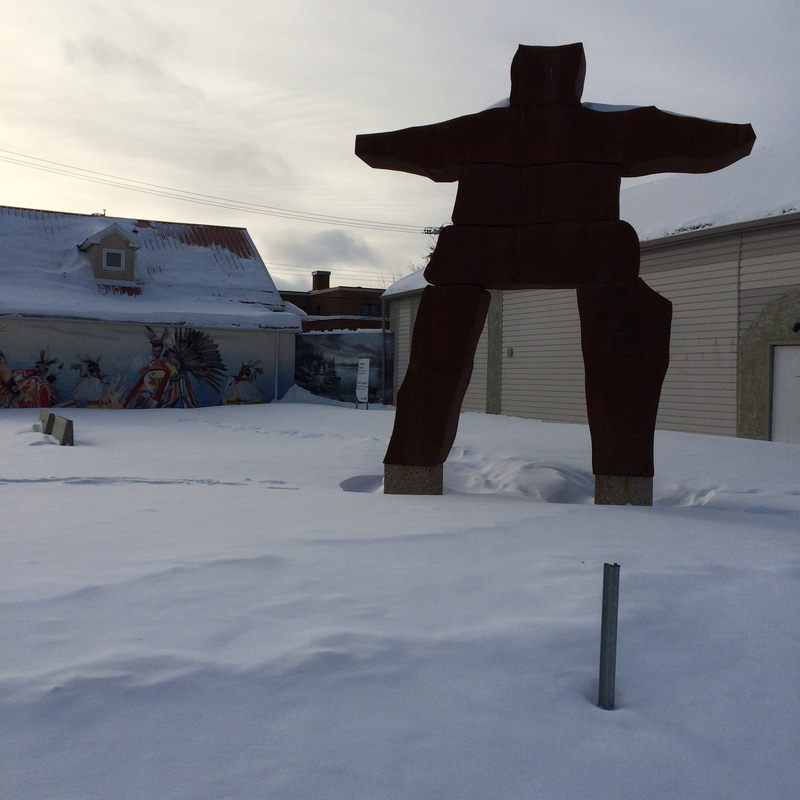 Statue in downtown The Pas, MB – The Gateway to The North! I’ve reflected on the idea of culture many times before and I love immersing myself completely into new ones on a regular basis, the root of this curiosity stemming from a perceived lack of culture in my own life. What I learned about myself through this was that I am my own culture. I believe we all are. The more ways I experience life, the more open minded I become and the more I see that I am not in need of belonging to any one way of being in the world. If anything I am grateful to know the freedom associated with not being attached to one way of life. That being said I love seeing cultural practices alive and well because there is ALWAYS an element of connection to the earth and the creator which is so primal and calls to the very very animal nature in all of us. So this is the dichotomy; the love/hate of it all. I see how people fighting for their culture can become angry and resentful, pulling them further from their truth. I see how one culture believing they are “right” has detrimental effects on other human beings. I see what one needs to give up in order to stay connected to anything pure. And I see that fear lies somewhere beneath the surface of all of this. 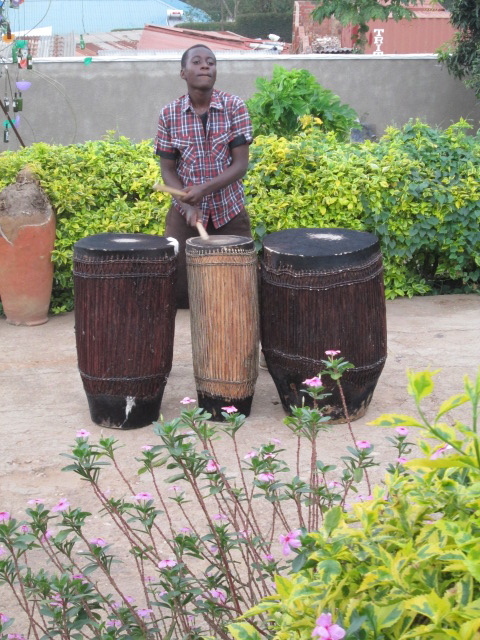 Rwandan drummer practicing with traditional dancers at Inema Art Centre, Kigali, Rwanda. 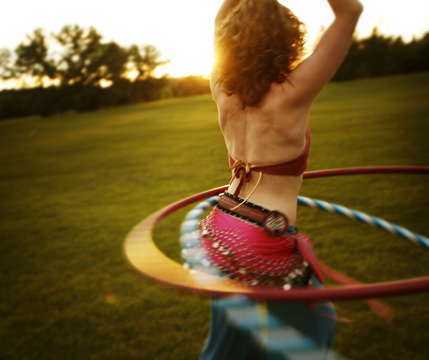 The sounds and movements are rooted in the earths pure energy. Fear of what? Fear of not knowing who we are if we are not our culture? Of feeling a sense of being lost in the world without it to identify with? 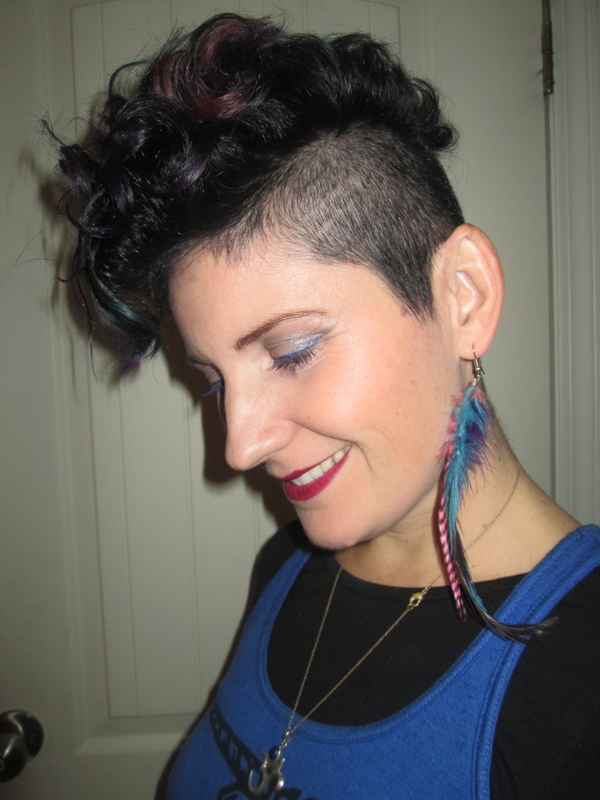 Feeling like an outsider on the inside when we run into something within a culture that doesn’t seem to fit us? 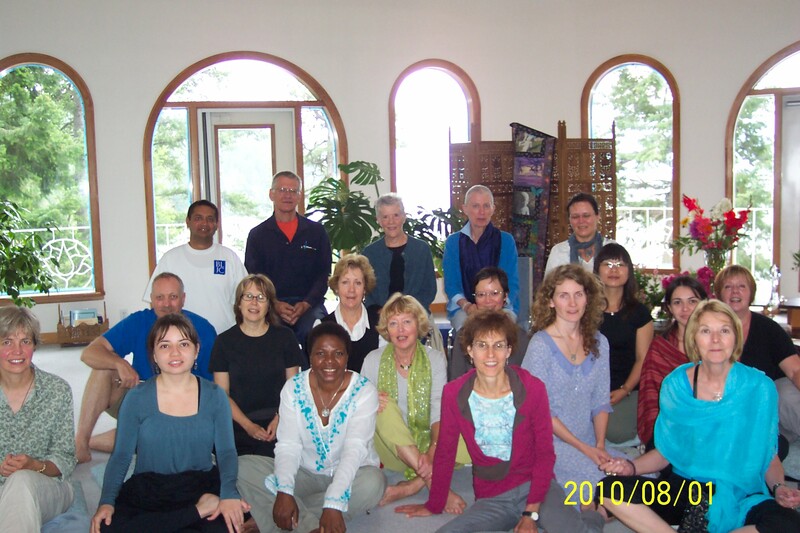 My 10-days of Yoga retreat group at Yasodhara Ashram, 2010. Through the practice of Yoga, which in itself is a culture, I came to understand myself as something much greater than any external thing, rule or idea. I practice identifying with my highest Self which is a practice everyday as I am met with my very real human nature which my physical self and my mind provide for me. If I identify with my Soul, as the term Namaste suggests, then what purpose does Culture serve in forming my identity and is it beneficial to human evolution? 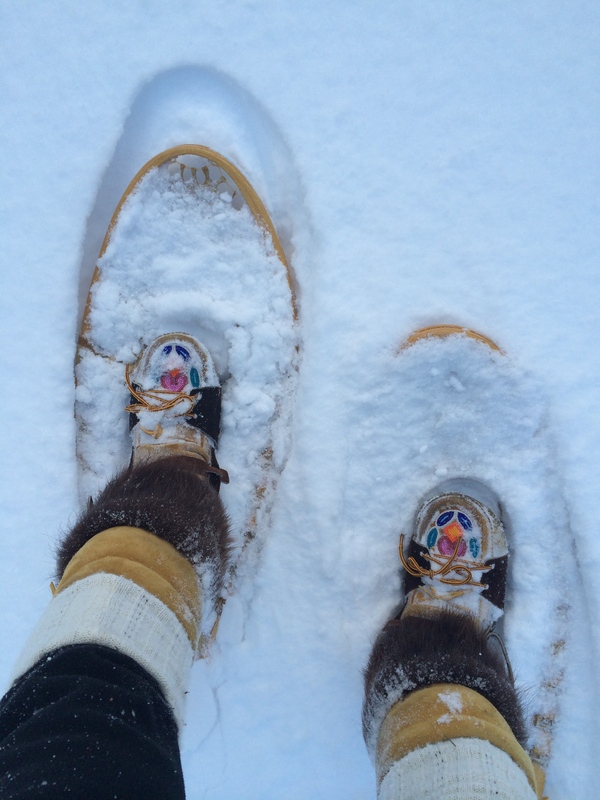 Traditional mukluks made by woman in God’s Lake Narrows and traditional snowshoes make for a fun afternoon in the bush! As a “white” person living in Central/Northern Canada I am reminded daily that I am not a native to this country in various ways. My heritage is questioned every day at my workplace as I engaged with Native people of this land. 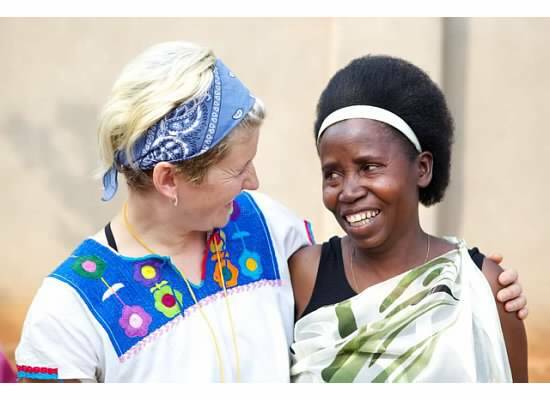 In Rwanda it was even more blatantly obvious that I was not of the land by the simple fact that I had white skin and blond hair. And yet in both of these places I felt I belonged somehow and found great connection to the people. Traveling to other countries and immersing myself into cultures helps me see the thread which runs through all of us……….Oneness. The human spirit knows no barriers. My ancestors came from Norway, Ireland, and England as far as I know. I identify mostly with the Norwegian side, I think because of my blond hair and blue eyes…….also the gap in my front teeth which I inherited from my Grandfather who was full blood Norwegian. This is my fathers side of the family. Me and Gramps out for a winter walk on the farm! My grandfather married a local girl in Alberta whose parents were from England. My great Grandfather, her father, started the first Newspaper in Vermilion, AB – the Vermilion Standard which still exists today. It wasn’t until I started to write that I realized I had roots in this field and I began to see myself more clearly in terms of my genetic blood line, my human qualities began to take more shape. My mother’s mother was English as well and married a Military Airplane Mechanic whom she met in her 30’s. He was of Irish decent. 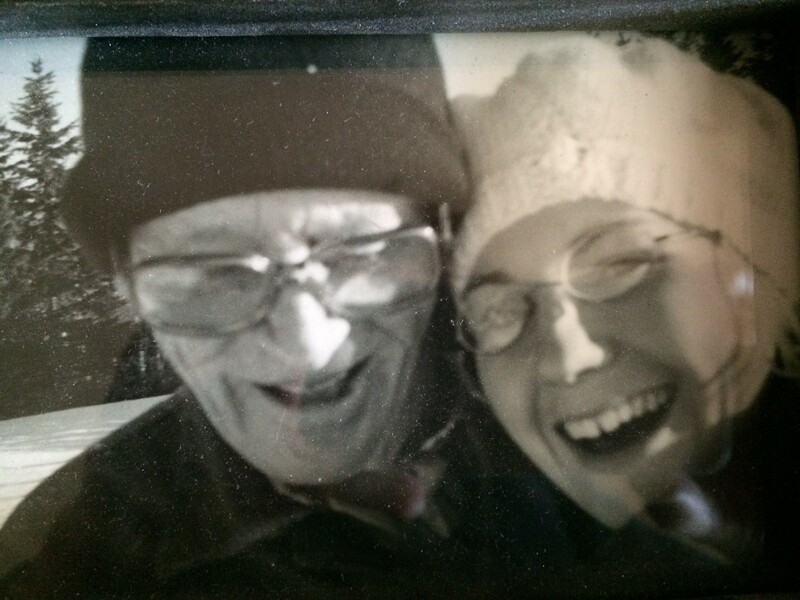 I never met my grandfather but from what I hear he was a quite and gentle man. My grandmother was not! She was feisty and independent. She loved to dance, cook and gamble! I definitely see myself in her! All of these people are living in Canada today because someone in their family was brave enough to get on a ship, sail across the ocean with very little and enter into a new land with hopes of a better life, or maybe just for the adventure. They did so with great courage, personal strength and faith – Wether they knew it or not these are the qualities they brought over with them and began planting some very wild seeds. It is these seeds which laid the foundation for the next generation of adventurers, my parents and now me. 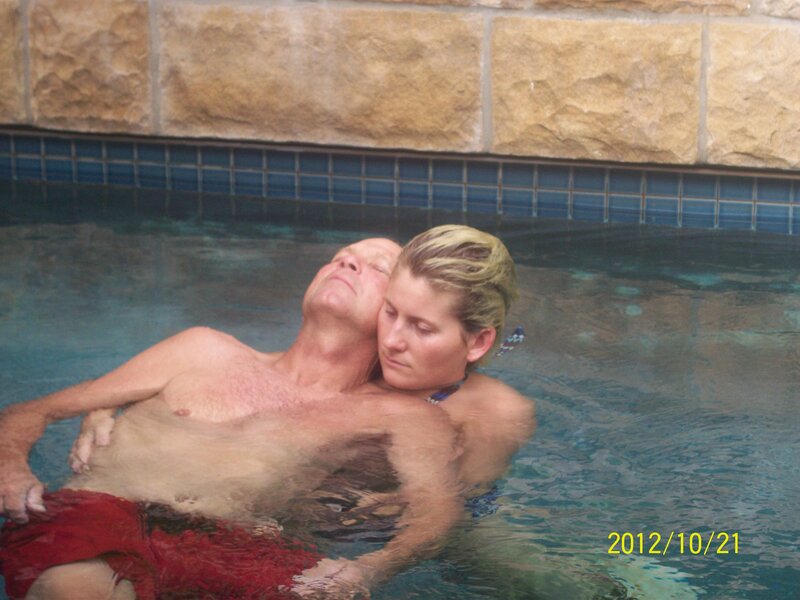 My parents…..how Awesome are these two! 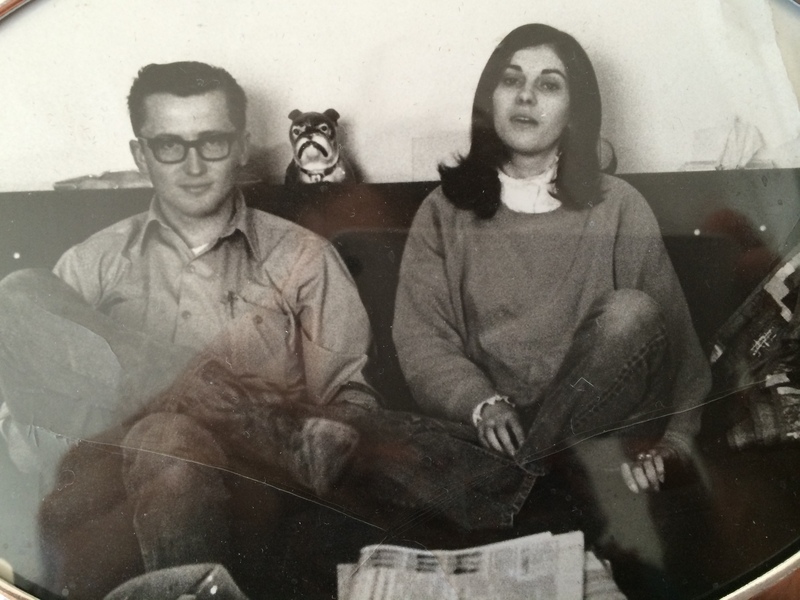 My parents, two farms kids from rural Alberta got married and moved to Northern Manitoba in their early 20’s. Adventures by nature, they flew the coop and unknowingly created what would become my norm. It may not be a ship but it gets me across the ocean waters! So with all of these characteristics, genes and cultural backgrounds how on earth could I identify with any one culture. And with life being so easy these days compared to the harsh reality my ancestors faced to provide me with the only life I know, how is one to find a cure for the inherited fiery adventurer spirit? Never identifying as one type of person and constantly updating and recreating how I exist in this world. I go against the grain, searching for meaning in all experiences and utilizing the gift of the life I have been given, thanks to my ancestors efforts at a “better life” for themselves. They may not have experienced much of the supposed “good life” that they thought was awaiting them but I benefitted from their goal being realized to a certain point. Is it then my role to continue building on their dream by creating my dreamlike? Its as if every soul/life is connected and seeks to support the next generation in reaching a “better” place in which to be human. Evolution of the human spirit one generation at a time. 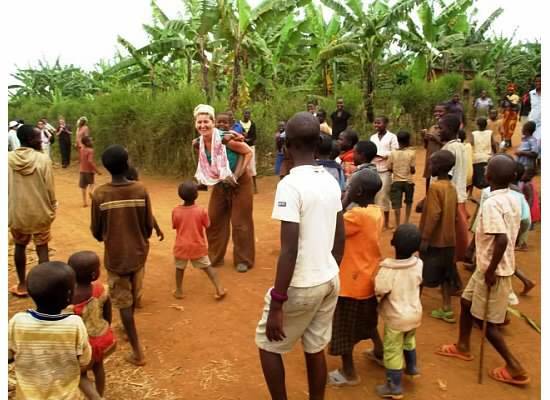 Village in Rwanda, searching for Nataraja! Being “white” (as I am referred to in The Pas) or a Muzungu (which I am referred to in Rwanda) I am lumped into a category of people which has become a diluted version of various European cultures which facilitates, if one is to place weight on culture as identity, a great sense of disconnect from me as a human being, the same as everyone else in the world. The practice of identifying myself as something greater than anything earthly supports me in this place of lacking a pure cultural identify which once held my life hostage. I believe as humans evolve and move away from identifying with these ideas there will eventually be more peace in the world. Not that cultures will disappear but the fear around losing them will be replaced by a celebrating heart which seeks to share in our common human experience. 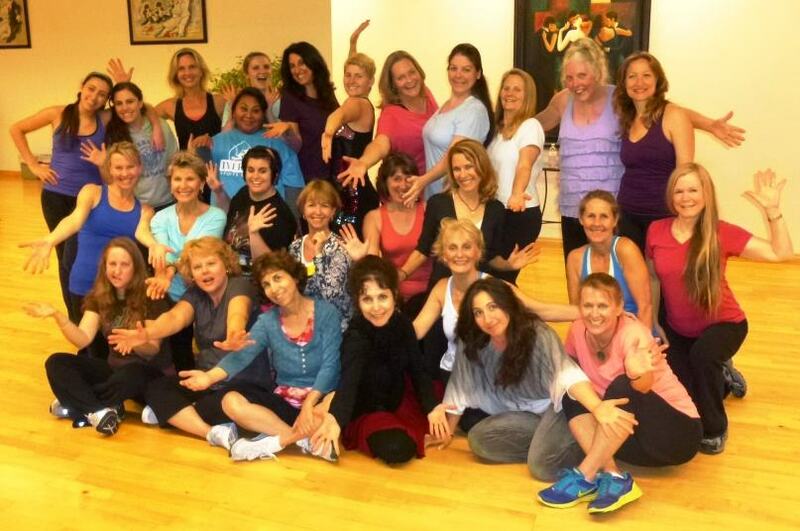 World Dance 4 Humanity, a group of women dancing in Santa Barbara, CA to support cooperative in Rwanda and making a huge impact on everyone involved. Talk about sharing in human spirit! Where I once felt lost I now feel at home. My existence on earth is unique in this day and age with the ability to travel to the other side of the world in only a day or two and communicate in different languages with friends around the world on my phone. Instead of holding tight to someone else’s idea of who I am, I now have created my own culture which lives within me. It has flow, movement and is always taking in, shifting and updating along with me. It has become who I am and how I exist in the world, I don’t need to think about it or fight for it as it simply exists. What worked for me one day may not work the next but I carry the experiences with me in my back pocket for when a time arises where I am called to utilize the skills I acquired and thus more learning takes place as I see how one experience facilitates success in another. Learning Water Release Therapy* with my Orca brother, Rob Harrington in Santa Barbara, CA – Water is a Culture near and dear to my heart! 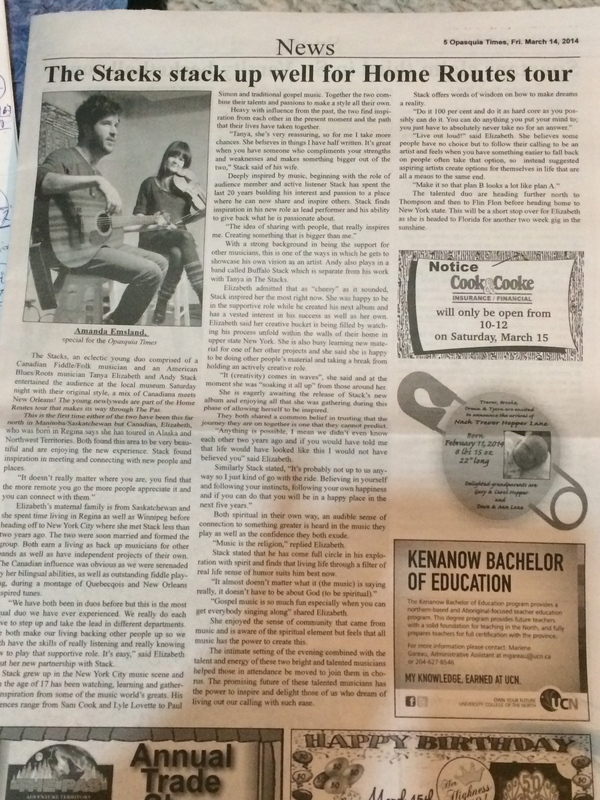 My lifeguarding and Nursing background were very useful tools for success here. What began as a barrier is now my key to freedom. The feeling of being lost led me to an awareness of a life long journey full of wonder and curiosity. This is my practice, my art, my Culture of Self. Connected to the rhythm of the earth, roaming the land in search of sustenance, never stopping to get comfortable or stable or stuck, simply listening and following through. Pulled by the Creator to move on, keep doing, in order to live. They do not store fat, no excess “just in case” – they trust. As much as I try to live my life in line with the cosmic pull that I feel within, the system of this society itself is strongly set up to create the opposite, in my mind as a way of controlling and limiting conscious evolution and is a result of fear and lack of trust in something greater. As a human, I feel weak and helpless compared to other animals. I don’t come equipped with the survival adaptations they do for life in the wild, yet humans tend to treat them as if they are the lesser being – which I find laughable. We are totally dependant creatures which lead us to create all kinds of gadgets and technology to support our needs. We need them to survive. Without the sacrifice of animal lives we would not have had life and would not know life as it is today. And if and when technology fails us we will once again be called upon to connect to our survival nature. As I settle with the reality of this and take part in modern days cultural rituals (i.e: me posing with a dead animal) I feel a sense of connection to a very vulnerable part of myself, my human self. I am not or have not conquered anything as the photo would suggest but instead I have survived another day and the relief that comes from obtaining sustenance in a fear based world view is what drives me to sit on top of a dead animal and claim dominance – false dominance because it is actually a balancing act. Ones sacrifice leads to another’s survival and so it continues in various new shapes and forms in todays world. I have found great freedom in letting go of strong believes about what is good or right. I have gone from one extreme to the next. 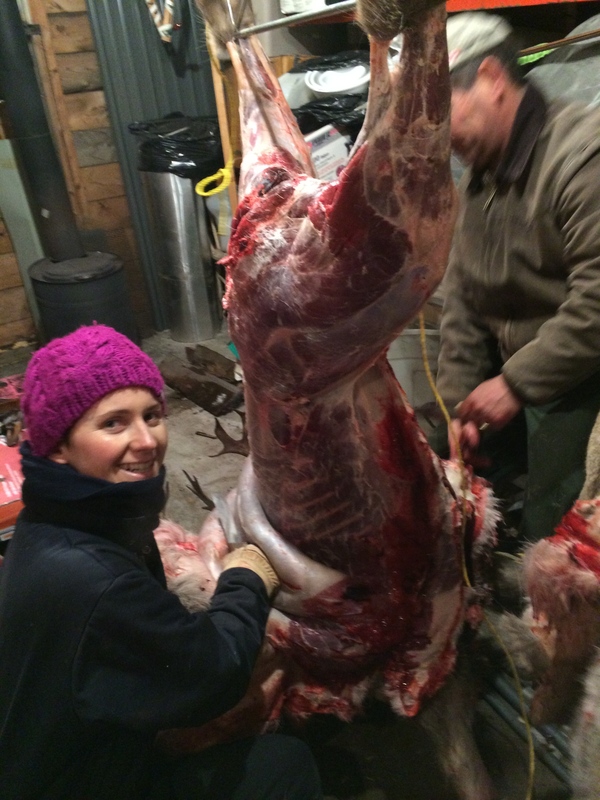 Hunter to Vegan and anything in between. But the learning for me in all of this is when I am presented with opportunity to look at why I do what I do and decide if it serves me in the present moment or not. Right now reconnecting with my survival skills feels important and it is here for me in every day life, so I take the opportunity every chance I get and this is a gift. Animals come in packs, flocks, gaggles, and very few survive totally alone, independent from others yet we, humans, attempt to do it alone all the time. Separating ourselves emotionally, mentally and physically from others into our own lives. Like an injured member of a herd, I find myself wanting seclusion so I can heal or allow parts of myself to die, in my case give birth to a new version of myself. Often people around me jest about a perceived lack of commitment on my part, my transient nature, I feel, because there is a blind fold to what I am really doing in my life. 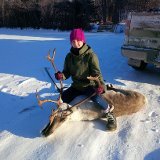 I, similar to the Caribou, am living in line with my instincts and intuition therefor the draw of owning a home, having a husband and children, a career, a pension and everything I need at my finger tips does not exist the way it once did. I exist this way because I have experienced both sides and know I find great joy in flowing with my Destiny, my Divine Plan. I am 100% committed to this and only this. There is a myth attached to this kind of lifestyle as well which is just that….a myth, that living life without the responsibilities of society norms is somehow easier and more free, more fun. From my experience, both are equally challenging in their own unique ways. It is a conscious choice to be separate from the norm and that, in many circles, can mean death. As I dive into what looks like a relatively “normal” lifestyle, at least from the outside, I am anything but playing this game the way I did before. I take comfort in the beautiful space I have created and the financial gains my education/experience has brought me but I am not attached to them. I will let them go once again when I am called to do so, when it is time to go. For now the adventure is to stay, settle within my self and soul and allow all the seeds I have planted to begin to take root. As much as I find it painful at times to be on this part of the journey somewhat alone, my herd scattered around the globe, I know it is necessary and I am met with challenges daily. My energy being asked to focus on areas I don’t want to focus on, things I don’t want to look at and things that seem so all consuming I wonder where I even begin. I know that until I do this work I will not move on, or at least I will not naturally move in flow with what is meant to be which would only make the lessons harder to learn. I do not just jump from one fun experience to the next, I do the work I am called to do and when I feel the pull to move on I take steps to do so. Caribou leave an area when it no longer sustains them, supports them or gives them what they need. As much as my dreams are bigger than living in a small, remote Northern-ish community with all its beauty and limitations, it is here – and only here, I will develop the skills, strength, support and courage to step into the bigger picture, the one that no one else sees but me. In this I find the limitations are not limitations at all but gateways to unlocking potential. I have given myself a way of focusing of what really needs attention by living in a space free from many other distractions which seek only to pull me off course. I practice surrendering to my human desires for entertainment, stimulation, excitement and all the luxuries many other places offer because I know that road does not lead me to true happiness and I learn to refine my desires into a balanced view of needs and wants which seek to move me forward. The Pas is known as the “Passageway to the North” and for me it describes exactly why I am here. I am here for ReBirth and am currently in the labour stage of this process. I’m patient and push only when its appropriate, keep on breathing and trust that this natural and beautiful event will deliver me into a new world view. I want to go “UP” and I am sitting at the gates right now, arranging my tools, supplies and preparing for the journey ahead. Spiritually I bring with me trust, faith, and a deep sense of knowing. Physically I have financial support and practical tools for meeting my human needs. The tangible results from seeds planted will facilitate success and survival in the next step. Emotionally I have maturity, balance and awareness. Mentally I have strength, confidence, clarity and peace of mind. These are the things which brought me here and I did the work to move into the place I am in today, taking every step as seriously as the next. When I arrived just over one year ago I had a duffle bag and a broken suitcase. I entered into the coldest winter in decades with only a few worn out summer clothes available to me. I had no income. I had to open the doors of support and allow the ripple effect which I had created to flow in and help me out. I had to surrender to my needs and allow myself to receive. I did the work everyday to build on what I had put in motion many years earlier. Now I have a beautiful home space. I have some nice clothes. I have multiple career paths simultaneously flowing abundance into my life and affording me the financial support I need to move forward as well as nourishing my soul. I have a business and a car. I have food on my table and hot, running water – I am wealthy beyond my basic needs. I am slowly but steadily building a community and am engaging in beautiful traditions of the people in this area. I am not stuck here. I am not doing anything so I can “get out of here”, instead I am staying where I am, soaking it all up until it sustains me no more. When I consume all that is here for me I will move into the next place of abundance, eventually – but never stopping, coming to a balanced place of thriving.